On 3rd of May, the receivers of the insolvent Corporate Commercial Bank (CCB) published a translation in Bulgarian of the report prepared by AlixPartners Services UK LLP on tracing the assets of the bank. The report, which includes over 500 pages of conclusions, was published on the CCB’s website. The report says that CCB was siphoned off through large loans to companies related to the majority shareholder Tzvetan Vassilev. More than half of the loans at the value of 2,5 billion BGN were given to companies related to Vassilev. The report also shows that the majority shareholder also used the bank for “personal transactions”. 243 corporate clients of the bank had 472 outstanding loans. These loans, according to the auditors, are unlikely to be recovered, because they were given to non-functioning enterprises or had little collateral. The loans were used to settle other loans to CCB or to finance people who were not CCB’s clients. - Loans for purchase of shares in companies ownership of CCB. The auditors identify high connectivity between clients and borrowers. The report does not show specific names of individuals. It describes detailed schemes of connectivity between companies. According to the auditors, the loans to totally 8 companies, including Petrol, BTC, Vivacom and the Serbian glass factory in Paracin caused damages to the bank of more than 1 billion BGN. According to the conclusions of the auditors, the receivers of the bank will be able to restore not more than 800 billion BGN. 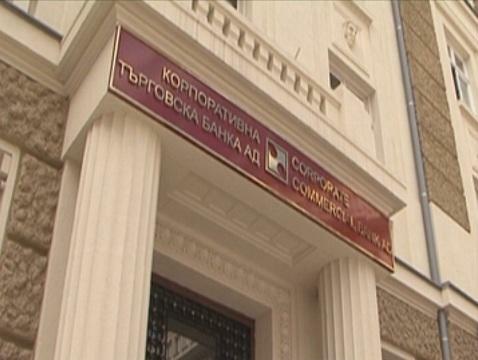 The auditors conclude that the siphoning off of CCB could have been prevented by the CCB Management Board, the supervision of the central bank and the Bulgarian National Bank. According to AlixPartners, KPMG, the company which was certifying the financial statements of CCB before its insolvency, prepared negligent auditors reports.